Frognall, completed in 1889, designed by the prominent architect James Gall, is of architectural, historic and social significance at the State level. Architecturally, the house is considered one of the best and most fully developed examples of the Italianate style mansion in the state, and remarkably still occupies the centre of its original allotment, which remains substantially intact. It has an unusually dynamic composition, aided by its distinctive tower and overall thee-dimensional treatment. There is an unusually rich level of cement render detailing, including arcaded and balustraded loggia, a pedimented entrance, and deep bracketed eaves, reaching a crescendo in the projecting broken pediments capping each face of the tower. Other notable elements include its intact unpainted rendered facade and intact interior with an elegant staircase, splendid stained and frosted glass and the servants' bells Another exceptional feature is the intact stable and coach house block. Socially, the house illustrates the lifestyle of the affluent merchants and businessmen who flocked to the suburbs of Camberwell, Canterbury, Surrey Hills and Glen Iris during the boom years of the 1880's following the extension of the railway system. Numerous mansions, set in large grounds, were established in this period. 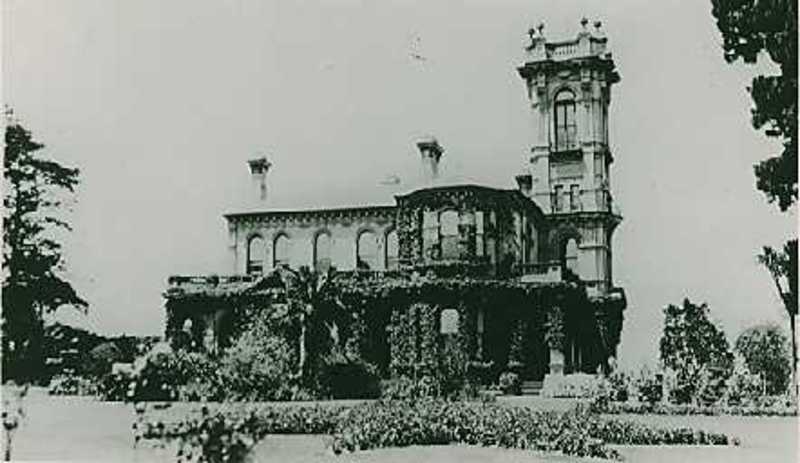 Historically, Frognall has an interesting association with Clarence Hicks, a prominent timber merchant nearby in Hawthorn, who profited to such an extent from the rapid rise in residential construction in the area in these boom years that he was able to commission this extraordinary house. He was also a local Councillor from 1888 - 1896, and Shire President in 1889. 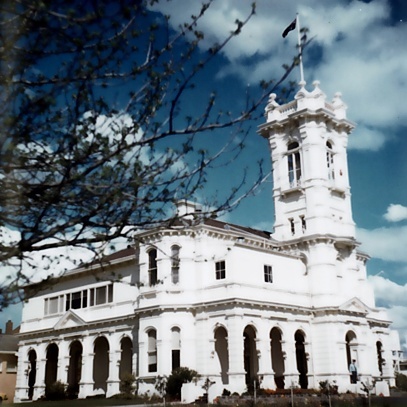 The property was also occupied for over 40 years by the RAAF, after being compulsorily acquired in 1943. Frognall played an important role in the RAAF communications network in the 1939-45 war. The property retained nearly its whole sub-division lot of 1859 within a suburb elsewhere closely sub-divided, until 1993, when the rear half was subdivided. The core of a decorative garden and drive, in the same form as laid out within the first decade after the construction of the house still survives.